An overdue tag from my friend Francine, my apologies to you, just got busy over the weekend. You can get more web traffic. You can increase your blogs’ Technorati authority. You can increase your blogs’ feed subscribers. You can get more back links. You can gain more friends around the world. Place your Blog’s FEED Link (i.e. 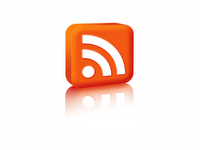 You blog’s link for its RSS/Atom feed, not the actual site) after the list. If you have more than 1 blog, feel free to add them all here!After placing your blog’s feed address/es, you must tag 5 or more bloggers that is not yet in the list, this is to keep the ball rolling.Also, you must subscribe to the feed of the blog who tagged you. You may include subscribing to another blog of your choice from the list.